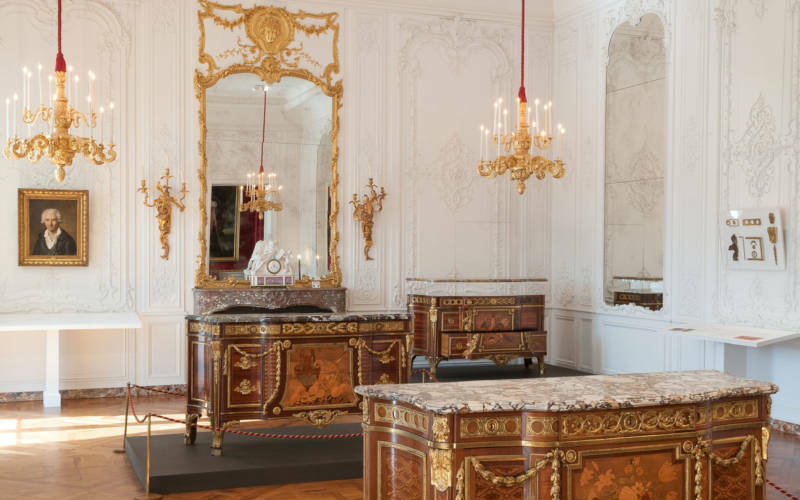 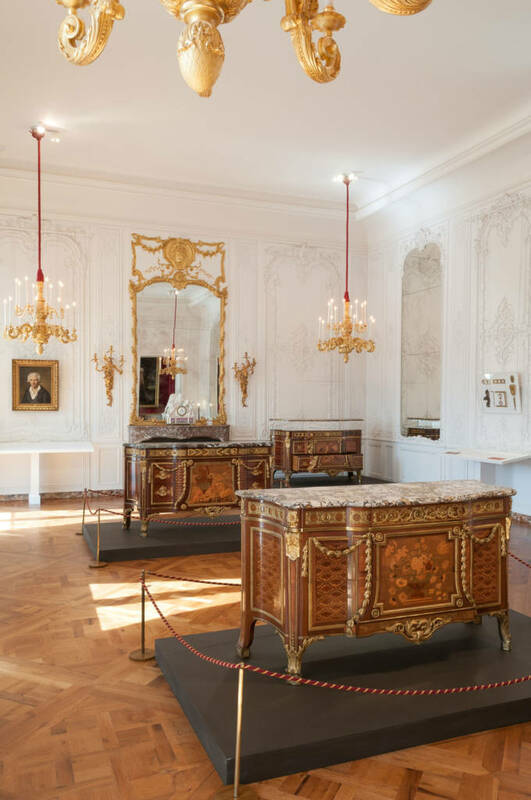 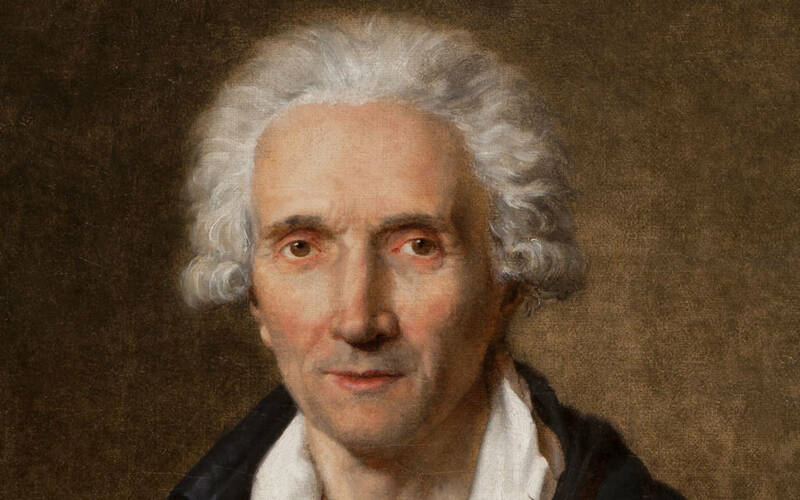 Jean-Henri Riesener (1734-1806) was perhaps the most celebrated cabinetmaker of the 18th century, the official cabinetmaker to King Louis XVI and the favourite of Queen Marie-Antoinette. 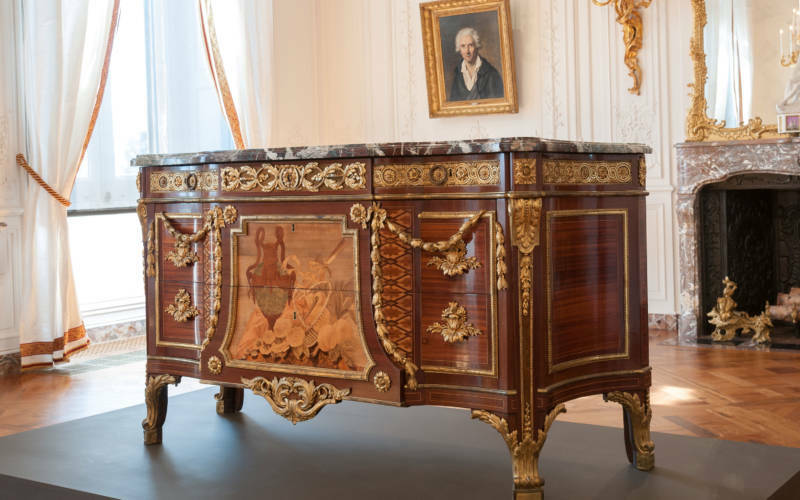 Here at Waddesdon we house three of his extraordinary chest of drawers which are on show currently in the White Drawing Room. 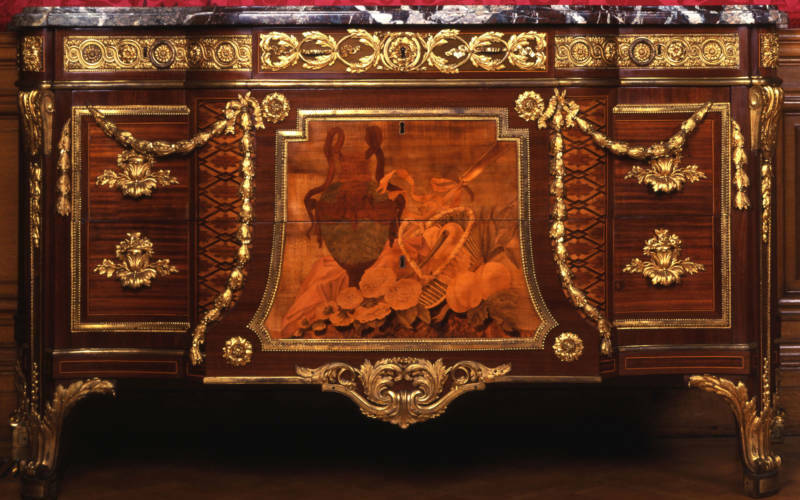 Each of the three Riesener chests of drawers in our exhibition is richly decorated with colourful marquetry (designs made with wood veneers) depicting flowers and trophies and geometric patterns, and mounted with finely chased and gilded bronzes. They are among 12 pieces of furniture now at Waddesdon that were originally at the Palace of Versailles. 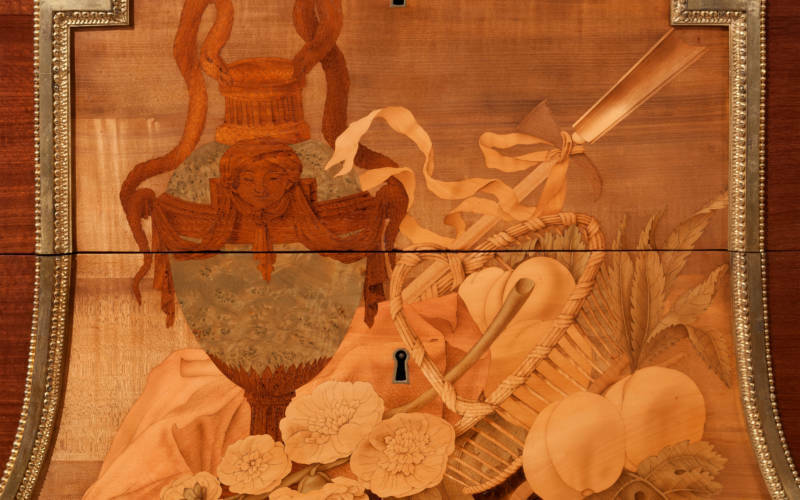 The exhibition is curated by Ulrich Leben and Emily Roy. 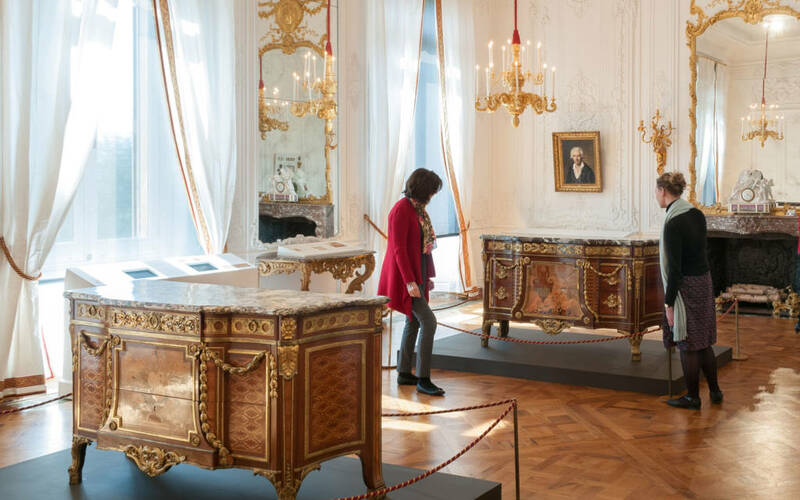 Our display enables visitors to look closely at these splendid pieces and to learn about their design, technical construction and fascinating history. 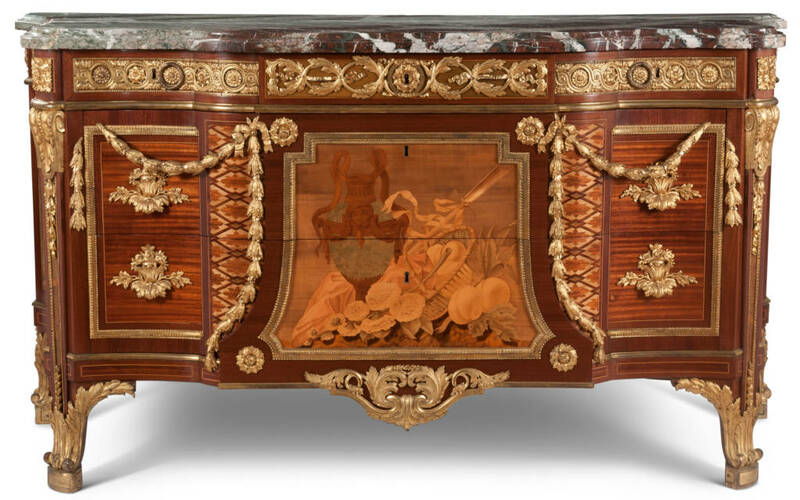 It marks the start of a collaboration with the Wallace Collection and the Royal Collection, both of which also have significant collections of furniture by Riesener. 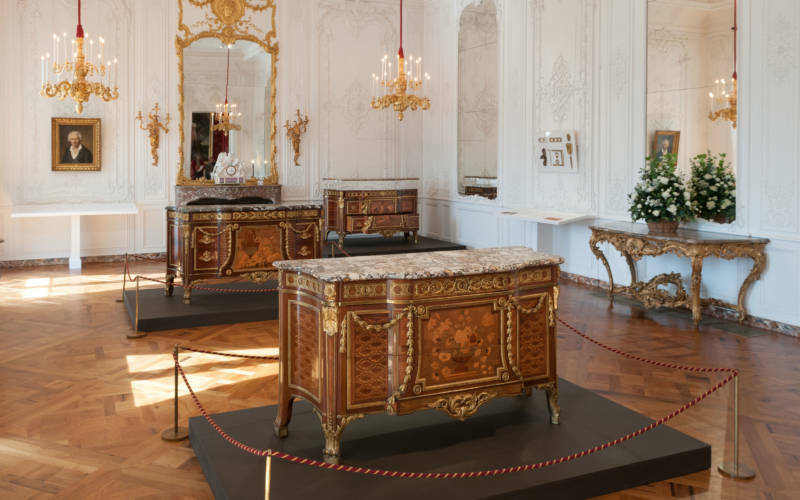 Watch our deconstruction animation to see just how skillfully these ornate pieces of French royal furniture were assembled. 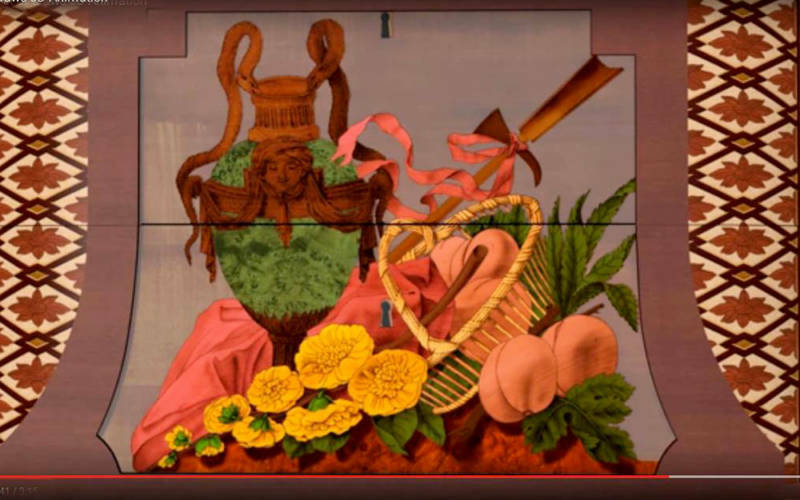 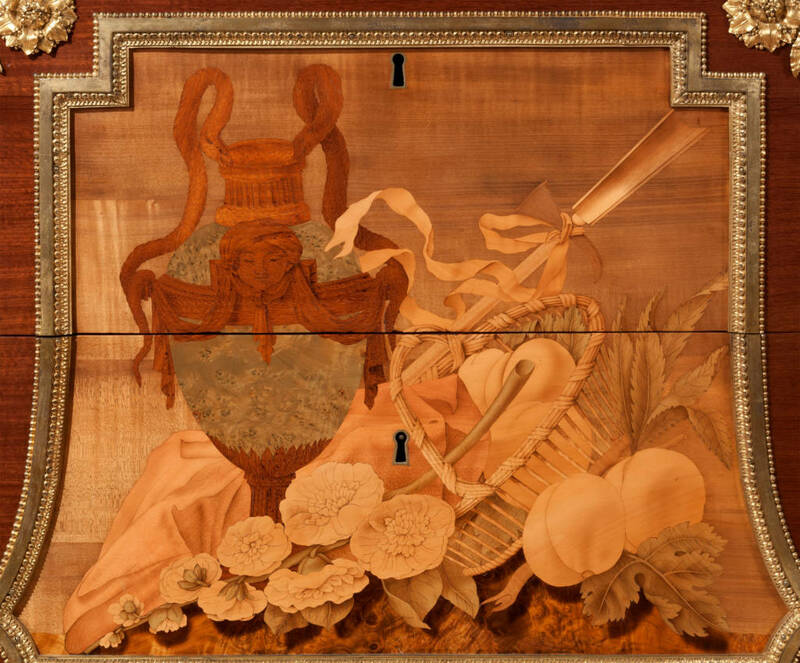 Get a glimpse of how the finished chest of drawers might have looked when first decorated.